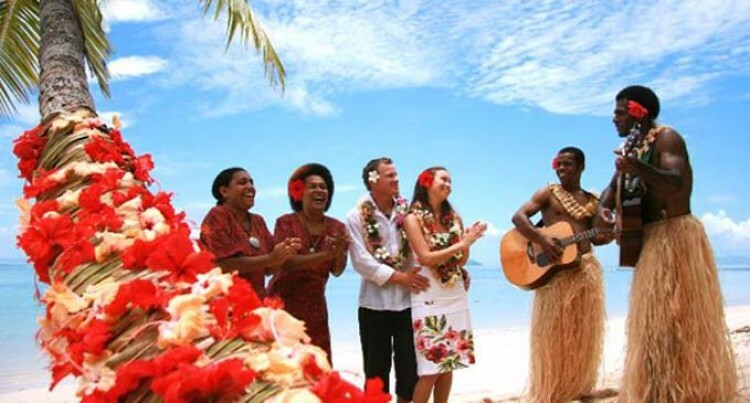 It is a common cry in Fiji that tourism money is spent in a very tightly defined area and very little benefit is derived by smaller operators and business in the remote parts of Fiji. To my mind this is a misdirected argument and one that focuses on the activity of the tourists and not on the revenue generated by the industry. Without the tourism industry in Fiji whole sectors of business would be far smaller than they are, or would not exist at all. The total tourism industry infrastructure exists to support the industry and it is either paid for by the industry operators or by government. So even before there is a resort, hotel or related industry, the tourism dollar is being spread around to non-tourism businesses who build or supply services to the builders. This includes the subcontractors, the architects, engineers, planners, civil servants and consultants who provide small parts of the finished tourism product. Boat builders’ business would be significantly smaller without the tourism orders, the many ground transport operators would be struggling, the agricultural sector would need to find new customers if the tourism industry did not exist. Without the workers directly or indirectly supported by tourism wages the car retailers, mechanics and fuel companies would be doing it hard and the retail food business would be much smaller and less profitable. Tourism, as the country’s largest foreign income earner and largest employer, spreads the money derived from the tourist far and wide. What do they mean really? But that is not what most of the people in the tourism industry mean when they talk about spreading the dollar around. They are saying that there is a need for the actual tourist to spread out much further and directly enjoy, partake, experience and support the tourism plant, both the resorts and the experience products, wherever they are in Fiji. And they are correct. It is the ideal, and a government policy, that anyone can establish and run a facility, no matter how remote the location or how difficult the journey. But the reality is that tourists just want to have an enjoyable holiday and they want as little inconvenience as possible in doing just that. For this reason the larger, better organised, better represented, generally known brand operations will continue to attract a disproportionate volume. However, there are market segments that provide opportunities to spread the dollar, and they are easy to market to. Generally the best known one is the back packer segment and in Fiji this is significant in terms of numbers. Back packers spend carefully but they do spend significant amounts. Overseas, the back packer market has developed fast and the older dorm room and a cheap meal operation has evolved to provide a friendly and safe environment with quality facilities and good ambience. The real growth has been in Europe, Australia and New Zealand as well as the USA. There is also opportunity in a number of niche markets. Diving, fishing, surfing, sailing, and cultural experience are all segments that can be located in the smaller islands and attract good volumes. There is also great potential in the “experience” market. All tourism areas need to have a good variety of things for the tourist to do, things that will give them a new experience and something to talk about when they get home. It was for this segment the Kiwis invented Bungy Jumping, a weird idea that is now a core tourism product and which has spread around the world. Our river safari in Sigatoka is another excellent experience product along with the Navua River product. White water products seem to be rare. There are plenty of good sea based products but the various shark feeding offerings are outstanding and admired worldwide. The point of this sector is that there are opportunities for almost anything you can imagine. A friend runs a highlands tour out of Nadi which specialises in bird watching and this does well, it is amazing how many people will get out of bed at four in the morning to see bird species that only Fiji can offer. And they pay good money for the experience. Many people have tried village experiences but they never seem to really take off. Maybe the facilities are not good enough and the travel agents get too many complaints, maybe not enough thought is put into the presentation, but local visits work well in many countries so Fiji should be able to pull it off. All these things get the tourist dollar outside the traditional resort and into the hands of the locals, so a bit of creativity will prove profitable. Several other sectors can be developed to help spread the tourist dollar. Sports tourism is really being developed at the moment, with government support and it will be a big sector. Medical tourism is another that has great potential for our major source markets and again it is under consideration by the government and several private medical service companies. Both these segments are not price sensitive and time sensitive and can be used to lift numbers in Fiji’s traditional low season. Another possible large segment is the retirement village concept, offering extended holidays to retirees, but to build this successfully there needs to be world class medical services available locally. Research shows that there is also the opportunity for large scale population relocation if permanent retirement villages were to be available, but again this demands the quality medical services not currently available. Retirees from first world countries would pump significant money into the economy over the long term. And there is immense opportunity for off resort food experiences. In most countries the food is an important part of the tourism product but it is lacking here. The large resorts discourage tourists from venturing into town for dining because they have structured their business with food and beverage income too important and the good food experiences on offer are generally difficult for an unguided tourist to find. It is possible to spread the tourism dollar a lot further but the initiative has to be taken by the creative operators who can look outside the box and who understand what a tourist needs.